Intellectual property? What is intellectual property and how/why does it matter in videos for stock? 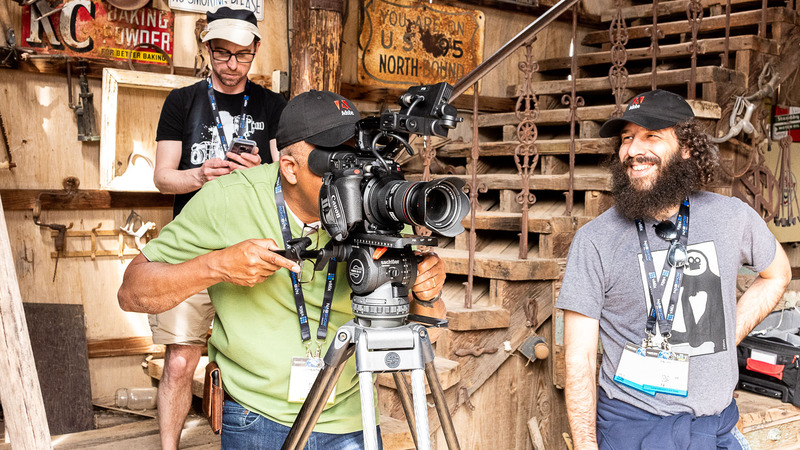 These are top-of-mind issues that all videographers want to be well aware of when capturing footage destined for Adobe Stock. Simply, IP is a brand on a product, a trademarked shape or logo or even the name of a company that appears in a video. The problem is that videographers do not own the IP. The company who uses it does. Take a look at this image. Are there any brands or trademarks in it? The most obvious is the ubiquitous “Drink Coca-Cola.” Not only is it a trademarked slogan, it contains the logo and name of the company. What others can you find? Intellectual property compliance is mandatory for a commercial stock license to have any value. Stock footage cannot have any recognizable brands or trademarks. When setting up a video shot, scan the scene carefully before shooting. Don’t just glance. Look! That means seeing what you are looking at. It is very easy to become complacent when scrutinizing a scene. When that happens, IP will sneak into the shot, ruining it for stock. IP issues are sneaky and everywhere. I’ll be honest. When I looked at this scene I missed the two lanterns with their bright red “Coleman” logos. The one that most miss is the “Seeburg Console” logo inside the dirty jukebox windows. In still photography, it’s really easy to remove intellectual property issues with the Clone Stamp tool or the Healing brush in Photoshop or the Spot Brush in Lightroom and Camera Raw. Video is not so easy. Imagine having to remove “Coleman” from every frame by hand! This photo is so full of IP issues it’s laughable. The Bulova clock, KC Baking Powder sign, US 95 sign (Yes, some highway markers are trademarked. Route 66 is probably the best known trademarked signpost,) the Forest Service Logo, the General Motors Truck fender plate, the Worthington embossed medallion and many more. Do you see the Volkswagen logo anywhere in the photo? Look closer. It’s there. The only solution for this scene of the couple ascending the stairs is to shoot down on them. All of the IP disappears while the rustic feel of the location remains. This video shows a very simple way of getting rid of IP. Watch the Coke bottle (Yes the bottle and the bottle’s shape and color are all trademarked) disappear as I have the lady model lean closer to her companion. The best way to make people in a video unable to be identified is to shoot them in deep silhouette. As long as there is no detail in their faces and their body shape is not distinctive (think of former President Obama’s ears) the scene will work for stock. Position the camera so the people in the scene are framed by the sky. Expose for the sky or a little over and, voilá, a usable stock scene ready for capture. Remember to get some action going on in the frame if at all possible. Adobe has a team of compliance managers that review every video submitted for stock. They have no choice other than to reject a clip when they find intellectual property that doesn’t belong. This is probably one of the biggest causes of rejection of video clips. Take an extra thirty seconds to really see what is in the scene. Are logos recognizable in the background? Is the license plate on that car legible? Are the stripes on the model’s jacket one of Adidas’ trademarks? Is that a Nike “Swoosh” on the guy’s ball cap? Look again. There has to be a Coca-Cola logo somewhere in the scene. They’re everywhere. Sometimes, Adobe Stock IP compliance test seems to fail though. What intellectual property is violated in e.g. a tight framed close shot of cherry blossoms with no audio?